Devil May Cry 5 won't be getting any story DLC but that doesn't mean no content isn't on the way. 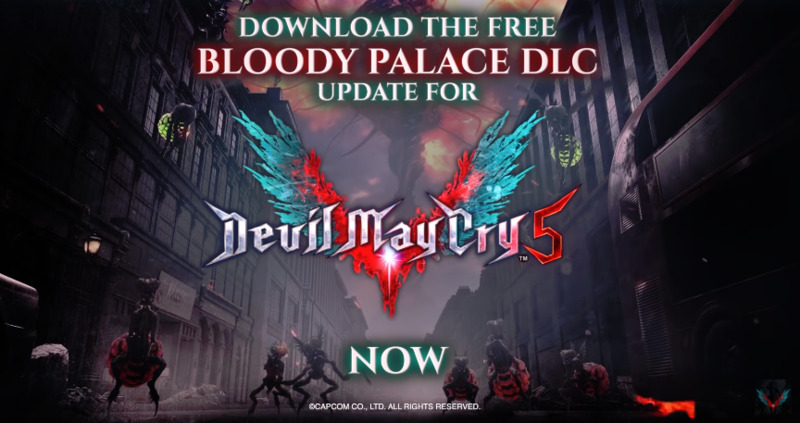 Devil May Cry 5's Blood Palace is now available. A trailer was released highlighting the mode in action. For those unfamiliar with Blood Palace, it's a challenge mode where you face stages of increasingly harder enemies. Stronger variants and bosses with handicaps are thrown into the mix, providing the player with an intense challenge. If you're up for the challenge, the update is available to everyone for free. Devil May Cry 5 is now available for PS4, PC, and Xbox One. Check out our review here. Fans of Devil May Cry who own a PS4 might want to hop onto the PSN store. Reported by Wario64, the entire anime of Devil May Cry is now free to all US PSN users.